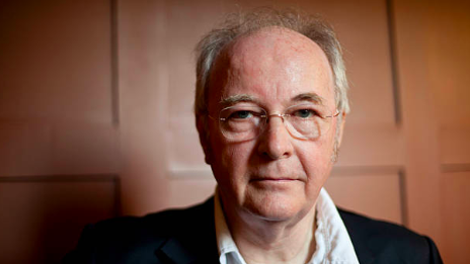 Philip Pullman can tell a good story. Author of the immensely popular His Dark Materials trilogy—as well as some 40-odd more novels, plays, and non-fiction works—Pullman has entranced readers for decades with tales of thrilling adventure set against some of the most fecund and imaginative world-building this side of Tolkien. In his new book, Daemon Voices: On Stories And Storytelling, he shows he can also write brilliantly about writing. “At its simplest, what you’re doing is making up some interesting events, putting them in the best order to show the connections between them, and recounting them as clearly as you can; and your intention is to make the audience sufficiently delighted or moved to buy your next book when that comes out in due course.” How’s that for a definition of novel writing? Daemon Voices is full of similarly brilliant, boiled-down analyses of writing, storytelling, and the peculiar blend of inspiration and labor that goes into creating a successful novel. In the essay, Pullman defends the value of fiction and fantasy. He draws on examples from Achilles to Sherlock Holmes to Jesus, whom he calls one of the greatest storytellers of all. Christianity, biblical stories, and original sin are through-lines of Daemon Voices, just as they are in the His Dark Materials series. More themes and ideas are returned to, including David Mamet on directing, phase space, Heinrich von Kleist’s “On The Marionette Theatre,” image schemas, and more remarkably astute examinations of writing. According to Pullman, writing contains two parts: The “making it up part” and the “writing it down part.” Pullman visualizes books as the woods (the world-building) and the path through the woods (the story traversing the world). He illustrates this using his own work and other classics: Art Spiegelman’s Maus, Grimms’ fairy tales, Oliver Twist, and especially Paradise Lost. Reading Daemon Voices, one gets the impression that John Milton’s epic poem has inspired Pullman more than anything else. 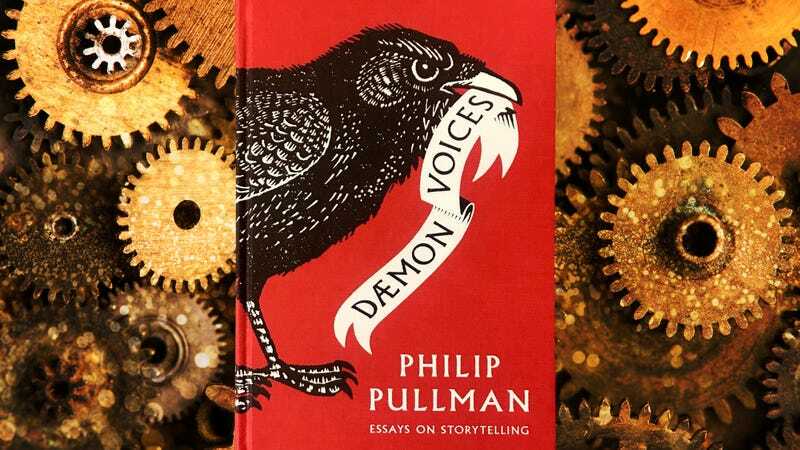 Fans of His Dark Materials will find plenty to enjoy, as Pullman often references the trilogy to demonstrate what one process of writing can look like—the collection of ideas, references, resources, and reactions that become a story. He also implores writers not to over-think it. “The way to tell a story is to say what happened, and then shut up,” is one such pithy sentence, and an idea he returns to over and over again. The overriding sense Pullman imparts in Daemon Voices is one of delight: delight in storytelling, delight in reading, delight in the entertainment and questions and lessons a good book carries with it. Daemon Voices is a wonderful distillation of decades of writing and thinking about what goes into storytelling. Like his best books, it has a richness of ideas in its wide breadth of topics and illuminating conclusions. Writers will savor its lessons. But it’s also a very enjoyable book to read.